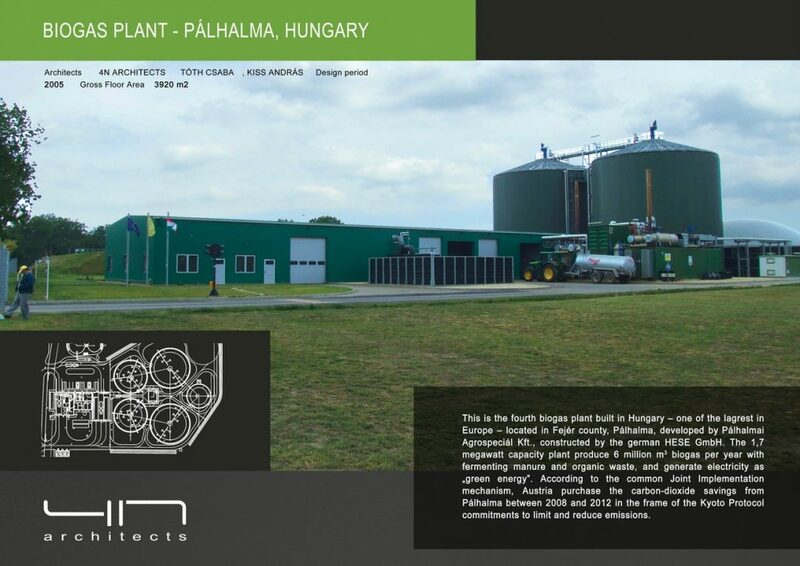 This is the fourth biogas plant built in Hungary – one of the lagrest in Europe – located in Fejér county, Pálhalma, developed by Pálhalmai Agrospeciál Kft., constructed by the german HESE GmbH. The 1,7 megawatt capacity plant produce 6 million m3 biogas per year with fermenting manure and organic waste, and generate electricity as „green energy”. According to the common Joint Implementation mechanism, Austria purchase the carbon-dioxide savings from Pálhalma between 2008 and 2012 in the frame of the Kyoto Protocol commitments to limit and reduce emissions.